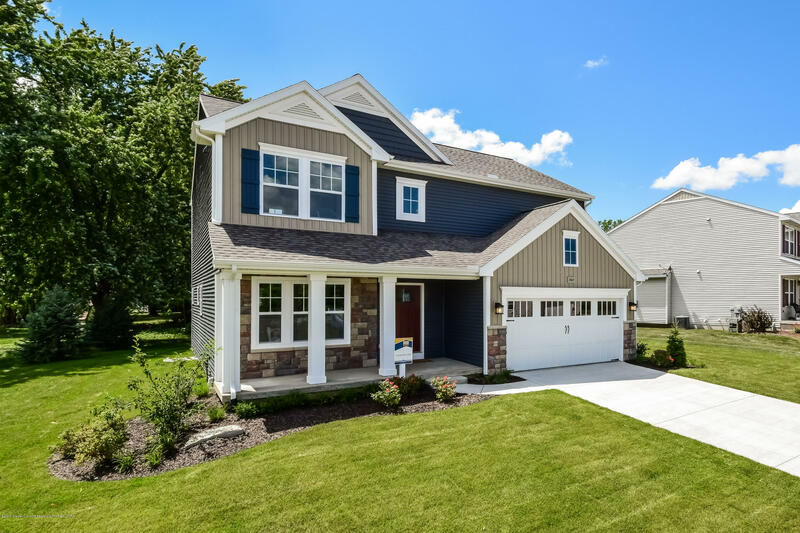 Model home for sale, available May 2019, 4 bedroom. 2.5 bath in The Gardens, which feature large open spaces, a centralized playground and walking paths. The Gardens is located in the Mason School District, within close proximity to charming downtown Mason. RESNET ENERGY SMART. 10 YEAR STRUCTURAL WARRANTY. Welcome home to a gorgeous model home with a great floor plan, created by a large great room, dining nook and kitchen. Kitchen has beautiful castled cabinets, center island, granite counters, tile backsplash and slate appliances. Steps from kitchen are a large mudroom and separate walk in pantry, sure to satisfy your storage needs. Den will have French doors, great flex space. Powder room completes the main floor living space with style and convenience. Directions: From US-127 exit at exit #66 and turn north/west onto Cedar St. Turn onto Fernwood Ln into The Gardens.